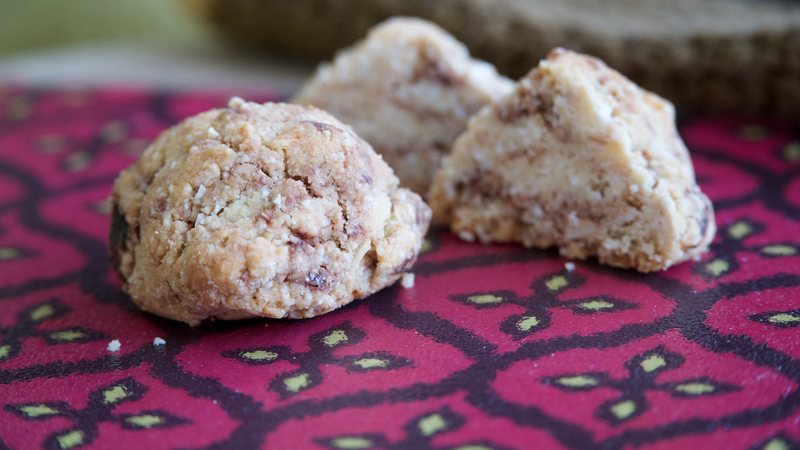 These cookies are gluten free and delicious! Best of all they are super quick and easy to make. Enjoy Recipe: Preheat oven to 350 degrees. Combine dry ingredients in a large bowl and combine wet ingredients in a small bowl. Mix wet into dry. Form 1 inch balls and place on a cookie sheet with a layer of parchment paper. Press dough down on paper to form a disc. Bake for 10-15 minutes. Remove from oven and cool.